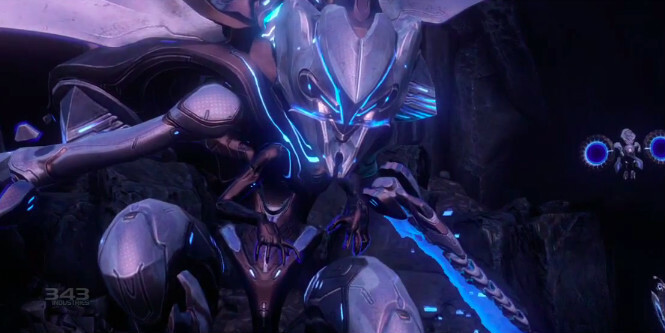 What makes the Prometheans of Halo 4 tick? Postmortem found out when he attended the 2013 Game Developers Conference. "Warner stated that the Prometheans were initially heavily inspired by Voltron fromVoltron: Defender of the Universe, the T-1000 from Terminator 2, the titular creature from The Thing, and Cranium Rats from Planescape. What the team was particularly attracted to was the modular behavior of all of these examples, how together they create one dynamic, while when separated they form an entirely different one. From an early point, they had 6 characters, based on a chess analogy of a King, Queen, Rook, Knight, Bishop, and Pawn. For the sake of scheduling and focus, they ultimately stripped this down to just the three that made it into the game, but Warner said that the other three may come back at some point. The Pawns became the Crawlers, and the Bishop eventually became the Watcher." Perhaps we may see some Kings and Queens in Halo 5? Here's some footage Postmortem took at GDC which features some working protoype Promethean knights in action.